Cops who put down their pistols and pick up pens in the gentle pursuit of poetry, may seem like a rare breed, but perhaps not as rare as you might think. Happened to read recently about an undercover cop in Los Angeles who is also a poet and says he is one of a growing number of officers who have something to say in verse. So he is trying to organize these poet-police officers into some type of national cop-poets-society. If this should come to fruition, I will suggest they make a special place in their ranks for Toledo Policeman Dell Hair, the nation’s first cop-poet, at least the first one who was nationally recognized for his verse. While not considered a great poet, he was popular and was published numerous times in the course of a career that included walking the dark streets of downtown Toledo, fighting crime while composing rhyme. He was born Adalbert Hair on a farm near the small western Michigan town of Morrice back in 1871. Always the romantic, he left that community behind as a young man to join the U.S. Army Cavalry Regiment in the American West where it is said that he helped put down down the last of Geronimo’s Apache uprisings. From there, Hair eventually made his way to Toledo where in 1906, he joined the ranks of the Toledo Police Department. This of course was long before squad cars, so Hair spent much of his time on foot as a patrolman. While he was on duty, it is reported that he not only worked out poems in his head, but, often gave those suspects he arrested, on-the-spot renditions of his verse, as he hauled them back to the police station. 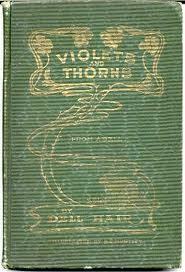 From those many days and nights on the streets, in 1908, he published a collection of poems that he wrote entitled “Echoes from the Beat”. About a year later, Hair left the Toledo Police Department, under controversial circumstances, and formed his own downtown private security company, which was really a poetic way of saying he hired out as a night watchman to check on downtown stores. But he did it well, and did it for many years until he died. All the while, writing and publishing his poems and even becoming involved in city politics. A Toledo New Bee article in 1909 reports that Dell Hair spoke to a political rally in a campaign against Toledo Mayor Brand Whitlock, in which Hair claimed he was fired by the police department because Whitlock, also a writer, was “jealous of his literary accomplishments”. Hair was not shy about voicing his opinions and was outspoken on many issues of the times, often putting those concerns about city problems into iambic pentameter. He was also popular with many in the city, especially the downtown merchants whose stores he protected at night. Hair even tried running for mayor in Toledo in 1915, but returned to his police work and his poetry. 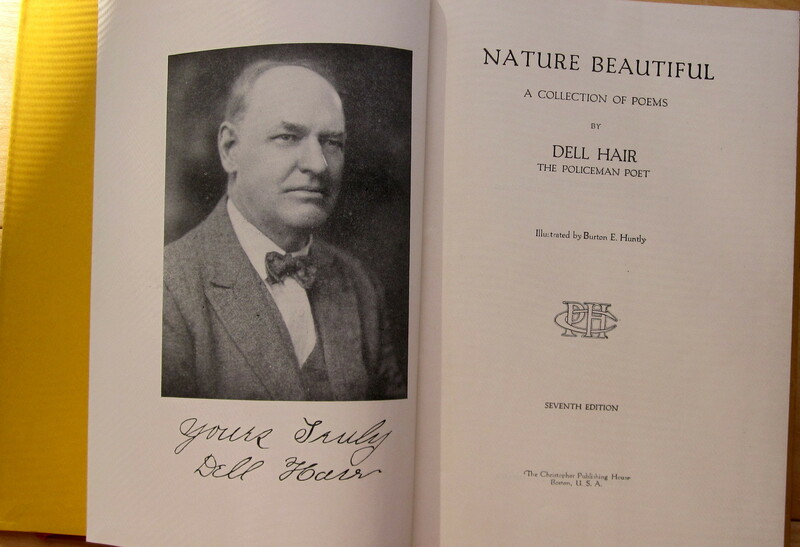 Dell Hair, lived at 1005 Salem Street in Toledo and was married to his wife Charlotte, had several children and continued writing poetry and staying on the downtown beat, until his death from the flu in 1932. Just what motivated Dell Hair to be a cop and writer of poetry, we’ll probably never know for sure, maybe he didn’t know either. But Jessee Fourmy, the cop in Los Angeles who I mentioned at the start of this story believes it has to do with a cop’s natural instinct to study and understand human nature. He says they are seekers of truth, which also the goal of the poet. Old beautiful fountain so holy and good,adorning the place where the old market stood. Where mammoth iron bars were bolted in rows, Where horses fought flies now a green carpet grows. Thy dome is not lofty, thy cups are not gold,The people here flock like sheep to the fold. All thanks to the son who lowered the rod, that brought to the people one blessing of god. To this writer’s knowledge that marker was never placed at the site and the Spielbusch fountain is long gone. But the words of poet-policeman Dell Hair live on. Likely will outlive all of us as his verse is passed from generation to generation, perhaps a little dusty with time, but still there, to drink in, like a fountain that just keeps flowing.